Will stock indices continue to rise without any breaks? They maybe. If so, how high will they go up? It is very difficult to answer that. At the end of last December, stock indexes started to rebound. They are moving very extraordinarily. For the S&P 500 index futures the 2950 is a very strong resistance line. They seem to go much higher than the 2950 at a stroke. If so, what is their next resistance line? It seems to be 3150. We should not forget that the 2950 is a resistance line. 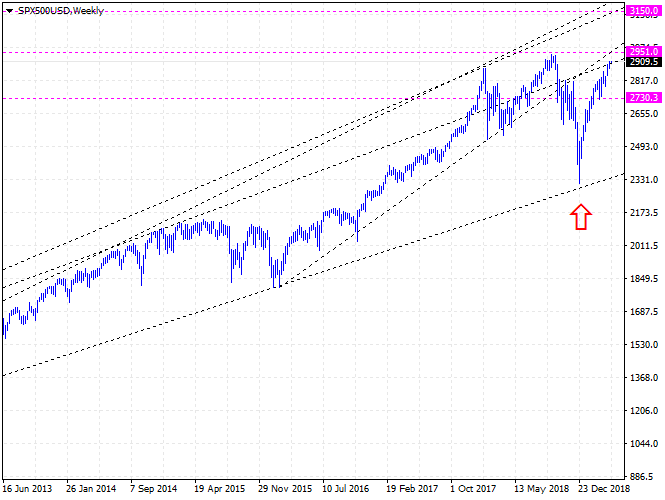 If the S&P 500 Index futures break the 2950 without any proper correction, it seems that the US economy is in a very critical emergency situation. We should keep this in mind, we must think of a very serious chaos.